I’ve been down with a horrible cold for a few days, and while normally, a head cold wouldn’t keep me from working out (I’d just take it easy instead), being pregnant with a head cold is a different story. So last night, when I started feeling pretty dang good, I almost went to the gym. But very smartly decided against it. By the time this morning rolled around though, I was ready. Between being sick, eyeball deep in sports season, the holidays, getting baby stuff ready… Four days of no gym had me sweating bullets and I couldn’t wait to get in there and do something. Threw on my gear, grabbed the dog to take him for a ride and headed out… Only to get to the gym, and walk right back out. What’s that you ask? That my dear readers is mold. 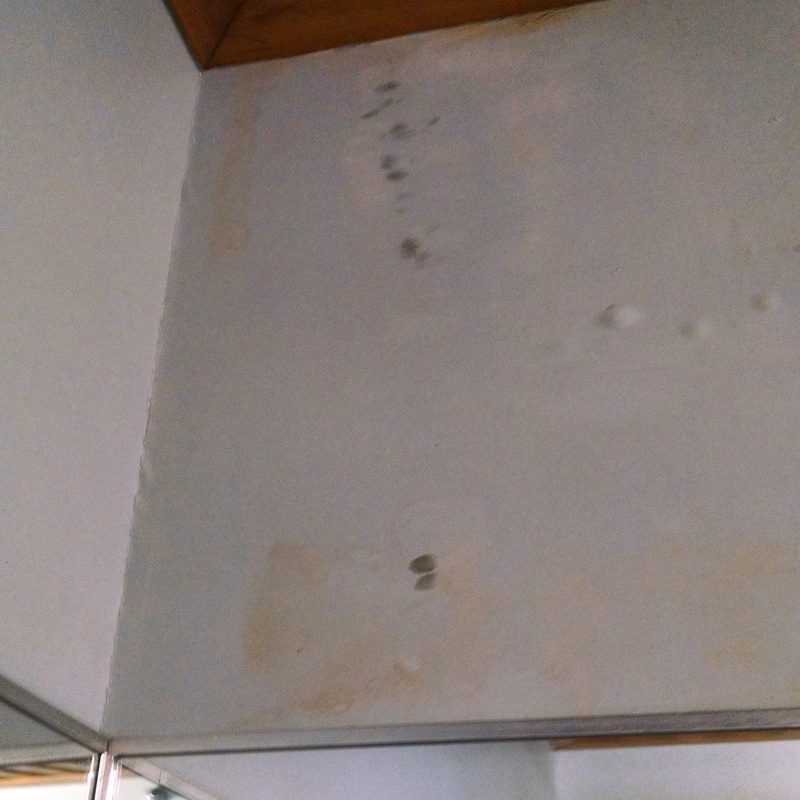 Black mold. And it’s not the only place in this gym that has it. I’m sure of it. Just because you cannot see it, doesn’t mean that it’s not there. The leak down from the roof, through the second floor, to the first (where this photo was snapped), has gone without repair for so long, that it’s no longer able to hide just how bad it is. (It’s also not the only place that leaks). I stood by the squat rack, staring at the wall in complete disappointment for a few minutes before muttering “So this must be what blue balls feels like”, earning a chuckle from a fellow gym patron. When I pointed out the mold, he wasn’t laughing anymore. I can have a clear nose, but the second I have set foot in the gym over the past few years — instant running nose. I’m a snot machine. Seriously. First sign that something clearly isn’t right. At first, I had planned on going back to my gym post-pregnancy. But as time went on, I realized, why should I? Everything I do there, I can set up in my garage. After some thought, a plan was formed. Action started last week when I ordered some 40lb kettlebells from Cap, a WOSS Attack Trainer ($40 at Amazon compared to TRX for $200 anywhere else), and making a list of the heavier KBs I’d need, what I’d need for weight bands and sketching out just where in the garage I could set up a rack with Olympic bar and weights. After being a member of my gym for 12 years, the only sadness I feel is: Leaving my lifting buddies. The crew that is in when I’m in is pretty great, and I will miss them. But we go to the gym to be healthy, improve ourselves, and you’re certainly not going to accomplish that at my gym. …So I left today. Before I even touched a weight. Even if I wasn’t pregnant — not worth the risk. Instead, I came home and set up the WOSS to test it out. Figuring not only could I test this out, see just what I could do with it (and if I could do what I wanted with it, and if it’d work in my home), I could at least hit back and chest today. Let me tell you this: Don’t waste your money on the TRX system. WOSS has a line of different types of systems at varying prices, all for just a fraction of what the TRX costs. And it’s the same damn thing. Just a different name. I attached this baby to my front door and went to town. I did flyes, reverse flyes, lat pulls, narrow rows and more. I’m certainly feeling it, and it feels good. 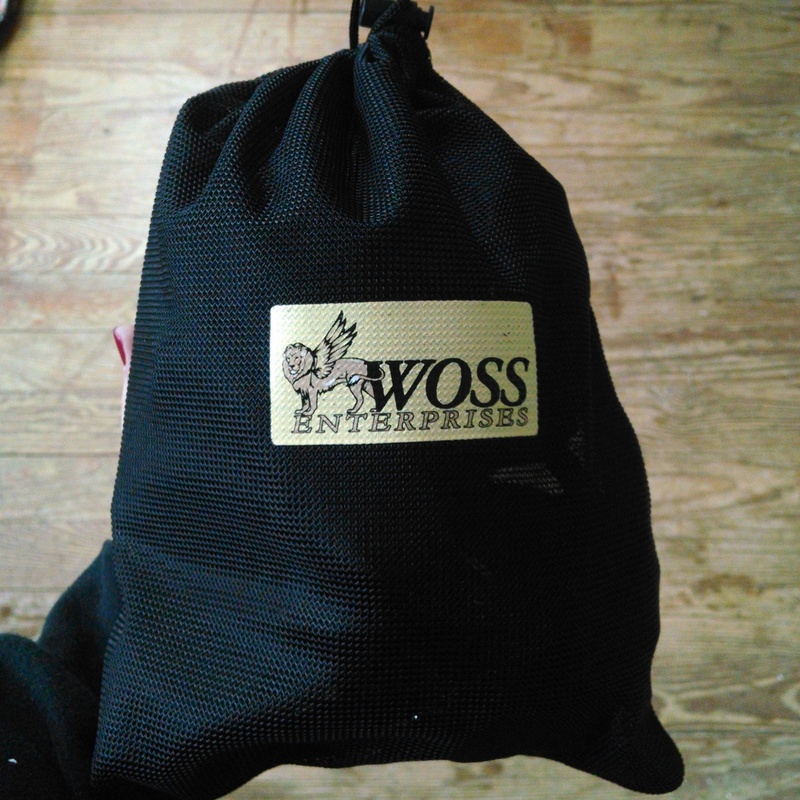 To see just what the WOSS has for you and your needs, check ’em out here.